Built 1998 by Jean-Marie Charpentier, interior design by STUDIO with East China Design and Research Institute of Architecture. 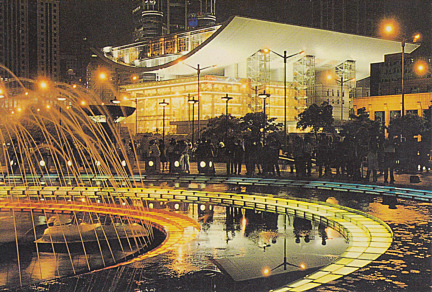 Opened August 1998 with Tchaikovsky's ballet "Swan Lake", performed by the National Ballet company, Beijing. 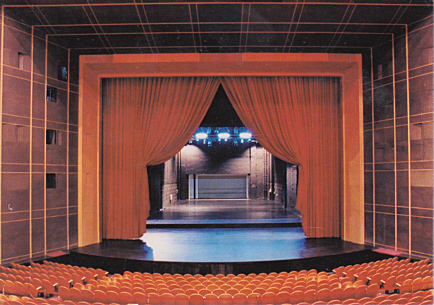 Used for performances of Western and Chinese opera, ballet and drama performances, and symphonic concerts. 1895 seats. 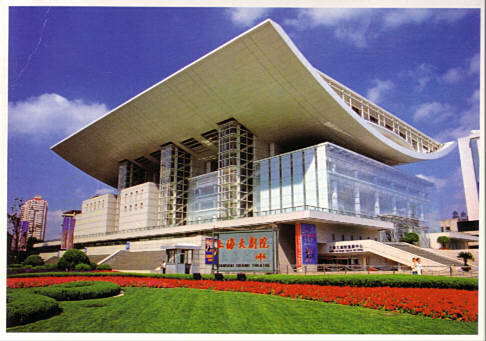 Reverse Text: "Shanghai Grand Theatre"
Reverse Text: "The Shanghai Grand Theatre"
Reverse Text: "Shanghai Grand Theatre", "Stage of the Lyric Theatre"